If your customers are abandoning their shopping carts, your business could be leaving money on the table. Luckily for you, there are things you could implement to change that. On our blog, we do a lot of writing about how to get people onto your website. In a world with thousands and thousands of competitors, that can be hard enough on its own. However, if you are running an ecommerce website, there is another battle you must fight: abandoned carts. You’ve spent countless hours on creating and perfecting the items you sell, your website, your blog, your social media, your marketing and your advertising. You’re finally getting a steady stream of traffic and people like what you’re selling. And still, after all of that hard work, 75% of all shopping carts globally are abandoned. When you see that shipping to Australia costs as much as the product you wanted. 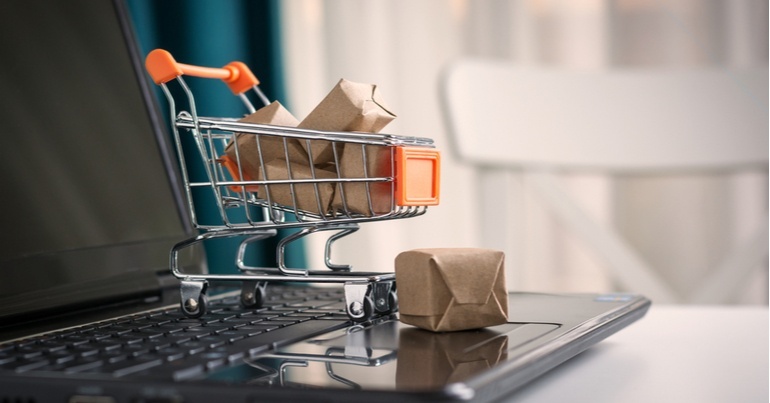 Your potential customers could like your products enough that they add them to the cart, but then a hurdle appears that makes them abandon it. 75% of carts are abandoned, which adds up to a significant amount of revenue for any business. It would be impossible to drive that number down to 0%, but it can be reduced. How? I’m certain we’ve all browsed a website and moved the cursor towards the top to exit the tab. Just as your cursor moves out of the website’s window, a pop-up appears on the site. This is called an exit-intent ad pop-up or an exit ad. Exit ads are used to try to convince the potential customer to jump the hurdle and complete the purchase. This is done by offering discounts or, even more potent, free shipping. 93% of shoppers say that they are encouraged to buy more products online if they are offered free shipping. This does mean that you’ll have to pay for the shipping yourself, which eats into your profit margins. You should therefore be mindful of how often you offer this incentive. Having a live chat option available on your website can be a great way to ease a potential customer’s concerns. Today’s live chat options are very smart, and can be triggered to pop up in the bottom right corner of the website if a visitor spends a preset amount of time on a certain screen. For example, if a customer spends a minute looking at the final checkout page, the live chat option can appear and prompt the user to ask any questions they may have. Live chat is extremely powerful, and research has shown that users who engage in the chat are 6 times as likely to complete a purchase than those who don’t. This conversational marketing tool connects the human with an artificial employee, but it may mean that you need a human available to take control of the conversation if the visitor has questions that the robot can’t answer, which is why this might not be the right way to go for a small business. Perhaps the most popular of the three examples we’ve given, and certainly the most cost-effective, abandoned cart emails are sent to users who have left items in their cart when they leave your website. This automated marketing tool is essentially a very effective retargeting of people you already know to be interested in your goods. BigCommerce, for example, found that every such email lead to $5.64 of revenue, compared to $0.02 for promotional emails. It’s a no-brainer. As is true for all other forms of email communication, the subject line is extremely important. It should be short and sweet, but also invoke an emotional response in the reader. Similar to exit ads, this email can contain discount codes or free shipping for a limited time in order to entice the visitor to complete their purchase. They could also simply be a reminder for the visitor that they abandoned their cart, or an email letting them know that you will reserve the items for them for a day or two. Sleeknote and Shopify both have great articles on how to create a compelling abandoned cart email that will help convert the doubters into customers, which we recommend you read for a more in-depth look on the topic. If you implement one or more of these three tips on your ecommerce site, you should see your abandonment rate drop. As we said earlier, it will never reach 0%, but by implementing cost-effective retargeting like exit ads and cart abandonment emails, you will increase your revenue and stop leaving money on the table.